The plight of the underpaid, overworked garment factory workers of the East has recently been making its way over to the West again, but in the form of direct messages stitched into the very fabric of what we hold so dear – cheap clothing. And it's the darling of UK bargain fashion, Primark, at the centre of it all. 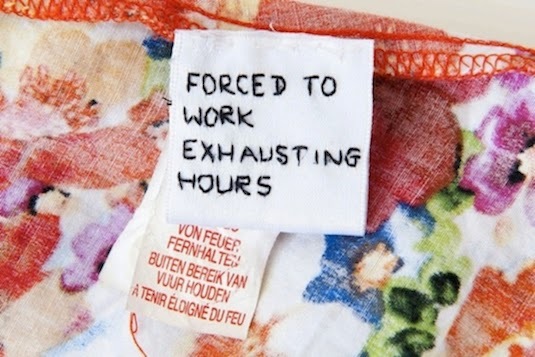 Two separate customers, when checking the washing instructions of Primark garments, discovered secret notes; stitched into the label, one note read "Forced to work exhausting hours" – the second said "Degrading sweatshop conditions". These notes were obviously not clues to finding lost treasure. The hand stitched notes appear to have been sewn onto a label, secreted in a Primark garment and left for somebody to come across it when doing their coloured wash.
For some time, the struggles that garment workers face have been well documented, and these most recent messages have been purportedly stitched by an employee of Primark desperately trying to get their message out. Articles in the press, documentaries and campaigns have tried for years to highlight the cost of fast fashion in the developing world. 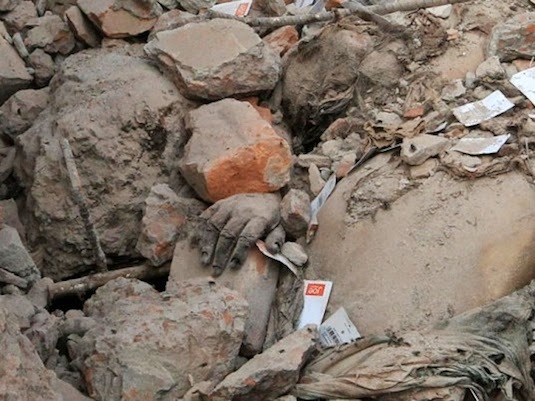 They do say that somebody always pays and the workers are paying with their lives: 1,129 people died and approximately 2,515 were injured when Rana Plaza, a factory building, collapsed in Dhaka, Bangladesh, last year. Families of those caught in the collapse still struggle to survive today with a loss of income. 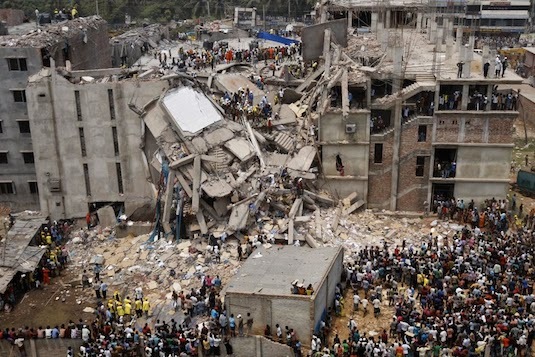 Among the labels found in the rubble of Rana Plaza was Primark, so it is no surprise to hear that the clothing company is being targeted over human rights abuses again. Even without the Rana Plaza context, the notes send a chill down the spine: imagine somebody stitching desperate messages, trying to reach out to those who feed the Primark machine, trying to get a message out to anyone who will listen. I wondered how many more messages were stitched secretly into pieces of Primark’s low-priced apparel; I thought about the person hunched over in a shack at night, stitching the message, so that one day somebody might see it and think of the half-life of the person who made the dress that they brought so cheaply. But then, maybe this isn’t the work of a desperate worker in a dark hole in Bangladesh, but of some creative right here in the West. Another situation comes to mind: a person who is so fed up with the way companies such as Primark abuse human rights that they thought up an effective plan to get the message out. I can envision somebody in the changing rooms of Primark stitching the labels into dresses letter by letter. The two garments which notes were found in were both brought separately from the same store in Swansea, South Wales. It could be that somebody in Swansea is trying to stir up the machine that is fast fashion. Primark have commented on the findings, describing them as "strange", and has asked for the customers to return the items in question. We find it very strange that this has come to light so recently, given that the dress was on sale more than a year ago, with no other incidents of this kind relating to this dress. We would be grateful if the customer would give us the dress, so we can investigate how the additional label became attached and whether there are issues which need to be looked into. The story continues, however, with a twist. Another Primark customer has come forward with a note she found in the pocket of some trousers she purchased from the Belfast branch of Primark in 2011. Karen Wisinska claims she discovered a prison identity card, and plea for help attached to it, last week when she was clearing her wardrobe out. We are prisoners in the Xiang Nan Prison of the Hubei Province in China. Our job inside the prison is to produce fashion clothes for export. We work 15 hours per day and the food we eat wouldn't even be given to dogs or pigs. We work as hard as oxen in the field. We call on the international community to condemn the Chinese government for the violation of our human rights! If proved genuine, these notes are truly grim. 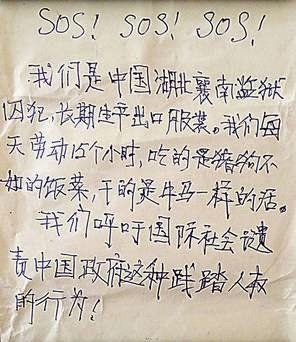 It's more than saddening that people are so desperate that their last option for help is to leave a secret message for somebody thousands of miles away. However, these notes do seem to be stirring something; there is a call for an investigation by British MP Margaret Richie, but Primark are responding with the same repeated facts about how well they check the working conditions of the people who stitch the clothes that make all the money. 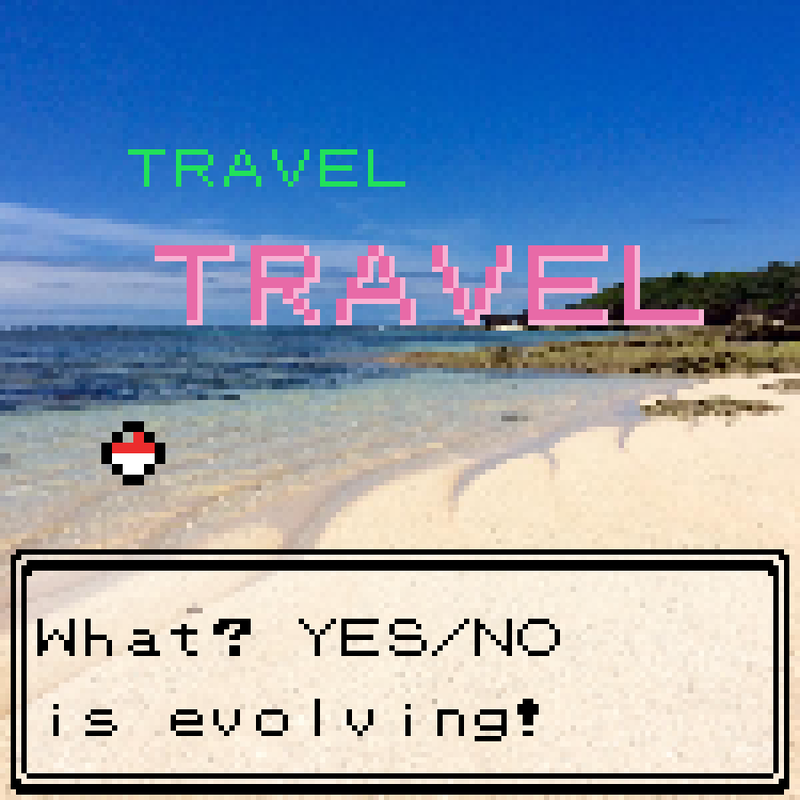 So what is the next step? Can we really ignore another reminder about how terrible the conditions can be for the people who make our clothes, letting the big companies get away with it so we can get our fix of cheap fashion? Sometimes it seems as if people from the West, in general, feel as if it's more convenient to not know, to do nothing. After all, where else would you get a pair of leggings for £3? UPDATE: Recent news reports that Primark deems these notes "a hoax carried out in the UK." Hoax or no hoax, it's a joke to hear that Primark is more worried about the notes than, I dunno, perhaps publishing some photos of how happy their workers are, or maybe some other actual hard evidence to reassure us consumers that things are going as swimmingly as they say.